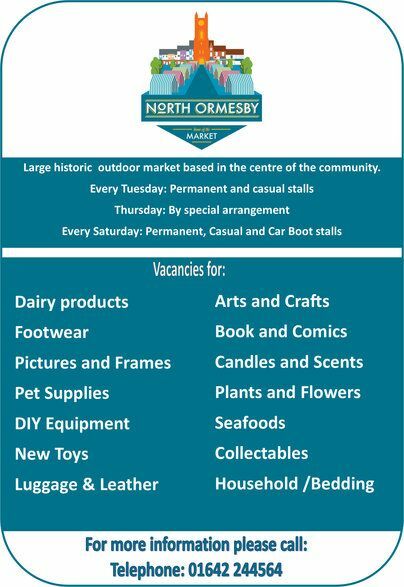 North Ormesby benefits from a newly re-modernised market square which has historically been the centre of community activity for many, many years now. The management of the market facility has been transferred to responsibility of the Development Trust from Middlesbrough Council to create more of a community facility rather than just the traditional car parking and twice weekly markets. Through community consultations carried out by the Big Local development worker and the Development Trust staff, there is a clear identified need for specific events which expand on a market theme but also offer more diverse activities such as music events, Street theatre, and community music events to foster greater community cohesion. There have also been discussions between members of the community on a community play day which brings together a wider cross section of ages and ethnic groups in fun activities such as sports, pets and music. The Trust, in collaboration with a number of community groups, will organise three community festivals over the next year which address the issues raised by the community. The events will be held every four month either on the market place or on the Henry Street Field. The Trust will organise all aspects of insurance, health and safety, licencing and volunteer recruitment to ensure the smooth running of these event. Access to all these event will be free to all residents of the community.